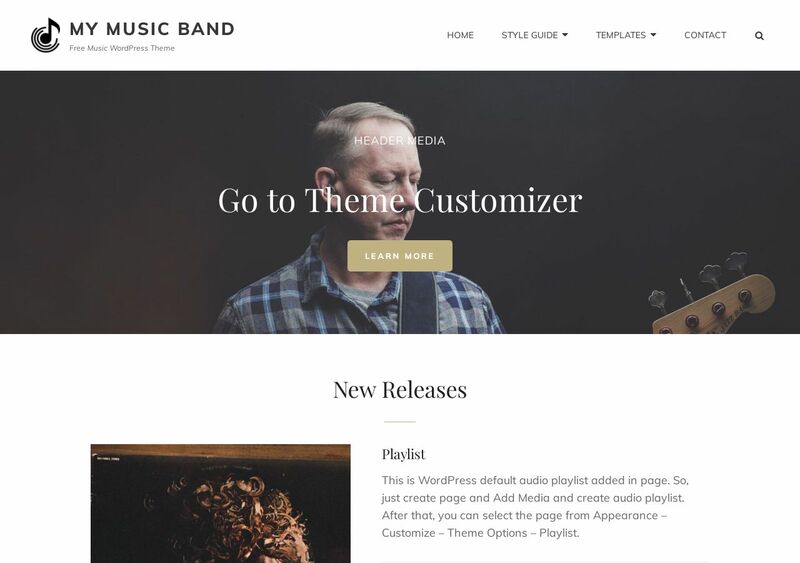 My Music Band is an accessible and polished WordPress theme for musicians. This theme works for both individual artists, and full fledged music bands. The engaging set of features combined with interactive design options makes My Music Band a reliable pick for music-oriented sites. The primary focus of My Music Band is to help artists establish a strong digital presence, whilst retaining the integrity of a creative design. Should you want to add a full-page slider to showcase your performance photos, or include playlists of your previously published albums, these and many other features have been thoughtfully crafted inside this compelling theme package. Wish to display your portfolio? Not an issue with this theme, just select the Portfolio content type and begin publishing. Likewise, publish the best stories from your fans using the testimonials feature. Lots and lots of interesting customization features in this theme to satisfy the creative thirst of artists.